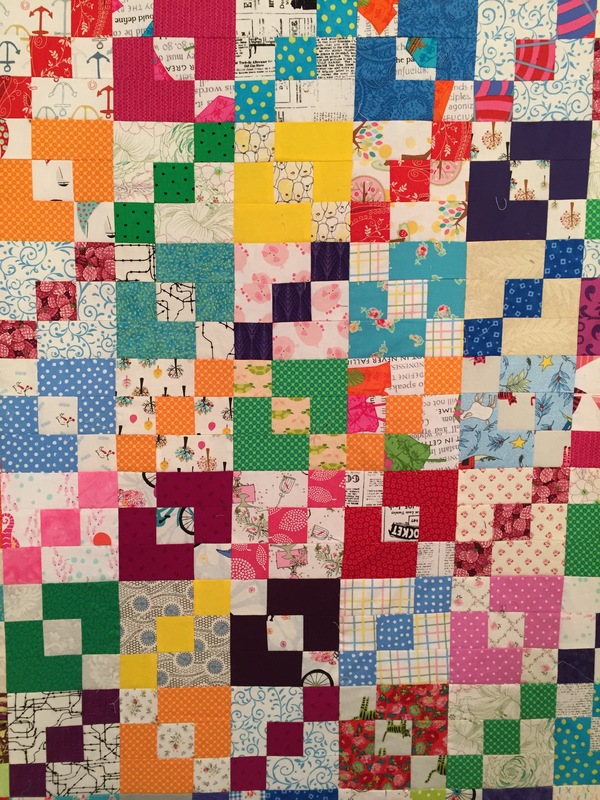 I got the final borders on this quilt last night–and the pics here do not do it justice. 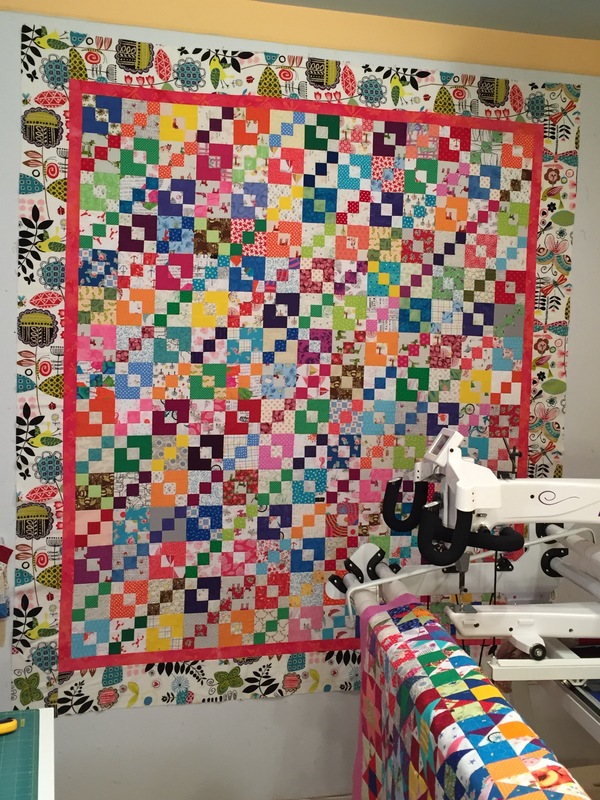 The border fabric is so cute with this quilt, for instance. 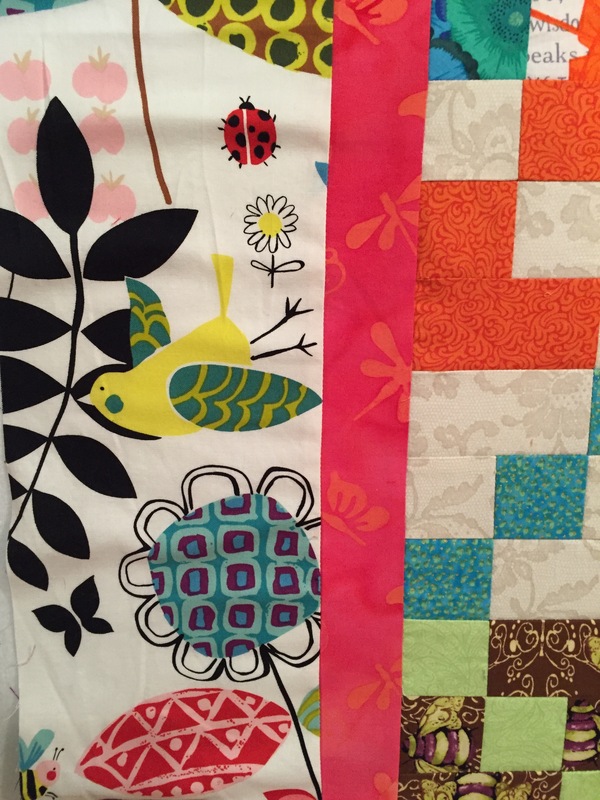 I’m going to call this quilt “Yellow Bird,” after the repeating bird in the borders. To remind this quilt block, Carolina Chain, was designed by Bonnie Hunter for her “Addicted to Scraps” column in Quiltmaker magazine. Not sure what I’ll do yet, so will finish the other top before deciding. Yikes, you’re going modern on us! Beautiful.